I planned my trip to France many weeks ago. I had to wait for the return of CNRP Vice-President Kem Sokha on 20 July before I could leave on 21 July. My presence in the country is not always indispensable in the face of a well-known pattern of political repression. Sometimes I can be more effective abroad in defending Cambodia's democratic cause. I have colleagues whom I fully trust when it comes to dividing and sharing the workload. The arrest of the 11 CNRP activists on 21 July 2015 came as a brutal act of repression which the CNRP top leadership discussed and decided on their reaction immediately after the news was known. My colleagues in Phnom Penh can elaborate on the response we thought was the most appropriate to give immediately after the publication of the news. They have already given interviews to a number of newspapers and radio and TV stations in line with what we have decided. There will be other appropriate actions and measures we will take on several fronts in the coming days. When judging the evolution of personal relations between CPP leaders and CNRP leaders, observers should make a distinction between appearance and substance. There can be a more civilized behavior on our part but this does not prevent us from standing firm on our principles and remaining true to ourselves. One can see this through the way the 55 CNRP lawmakers recently voted on two significant issues represented by the Law on the Settlement of the 2013 State Budget and the Law on Associations and Non-Government Organizations (LANGO). On both occasions we rejected the CPP-led government’s proposals. We believe that culture of dialogue and criticism can go together as long as the dialogue partners remain courteous to each other. The culture of dialogue is not to be implemented for its own sake. 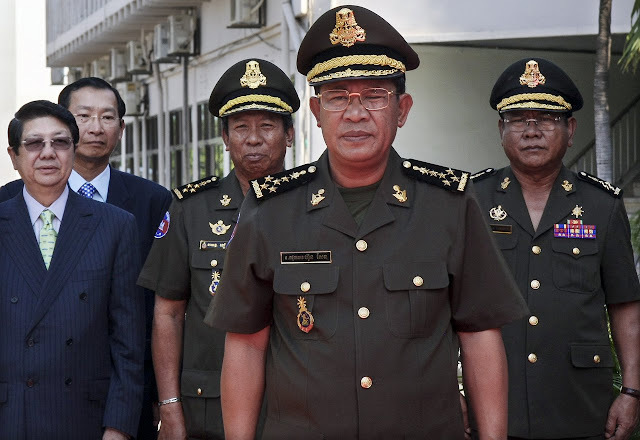 It is a process that serves fundamental purposes with far-reaching implications: ending the culture of political violence and revenge; ensuring a peaceful democratic transition for Cambodia. The process represented by the culture of dialogue is still new and fragile but it will prove vital for the country's democratic future. It reflects a long-term vision and must not be derailed by day-to-day events as painful as they may be. The process will have ups and downs as we will face temporary thunders and storms on our way. But we will strive to make this culture of dialogue move forward for the sake of our nation. As of today, without the culture of dialogue the repression would have been much worse. There would have been no releases of prisoners from jail as in April 2015 and there would have been as much violence, arrests and detention as before 22 July 2014, the day that marked the beginning of the culture of dialogue. I AGREE WITH MP SAMRAINSY, AND SUPPORT THAT IDEA. WE WILL PREVENT MORE VIOLENT, BY USING CULTURE OF DIALOGUE. THIS IS OUR BEST OPTION. So far it looks like one side suggests and another side dictates. Is this what we consider as "culture of dialogue"? Just wonder! My not-so-bright question would be - Until when can Hun Sen and his majority Viet-CPP continue to domesticate the minority CNRP? Jusqu'à quand est-ce que HUN SEN et son majoritaire Viet-CPP peuvent-ils continuer à dompter le minoritaire CNRP? Culture dialog is good for the CPP and "YOURN" VIET to mislead the United Nation, and more easy for the Vietnams to control and take over Cambodia more easily. 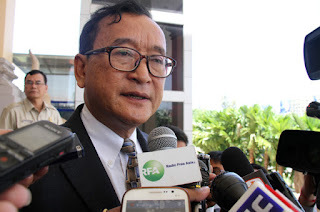 Sam Rainsy is pushing our nation, Cambodia to go to the death journey if he still on culture of dialog. So silly!